Details: The project is coming up at Korattur in Chennai. It is spread over 5.50 acre of land. The project offers 325 exclusive apartments, it has stilt+4 structure of 2 BHK - 614 to 1325 sq ft; 3 BHK - 1372 to 1696 sq ft; 4 BHK - 1893 to 2792 sq ft configuration. 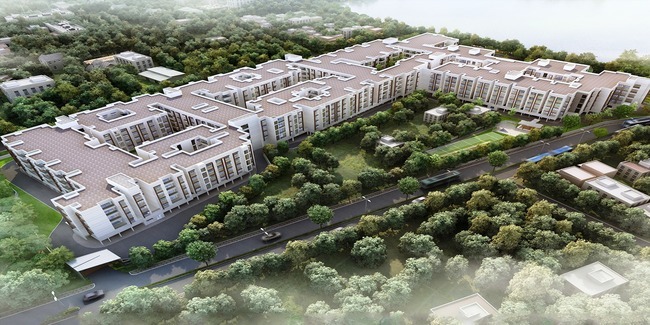 The amenities include Swimming pool, Gym, Kids Play Area, CCTV, Club house, Meditation platforms, etc.